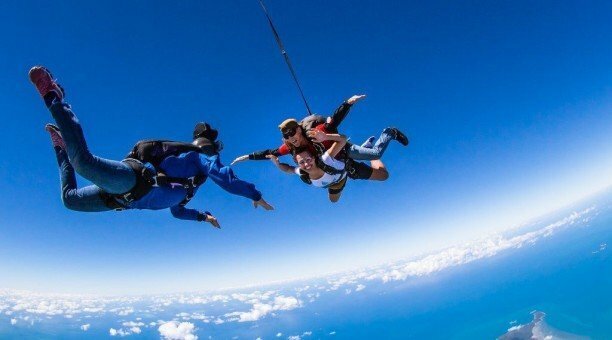 Skydive from 14,000 ft then dive into the ocean on this fantastic 2 day Cairns Skydive and Reef Experience package, giving you the best of both worlds. 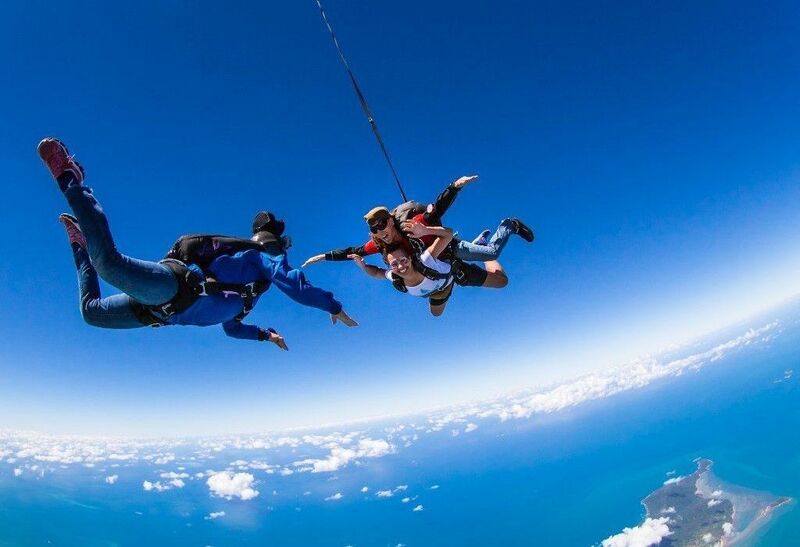 Experience the wonders of the Great Barrier Reef after the adrenalin hit from jumping from a plane in your 14,000 ft tandem skydive! DAY 1 – 14,000ft Skydive! All you can do is scream with delight during your 60 second freefall, engrossed only in the here and now, as you soar through the air as free as a bird. 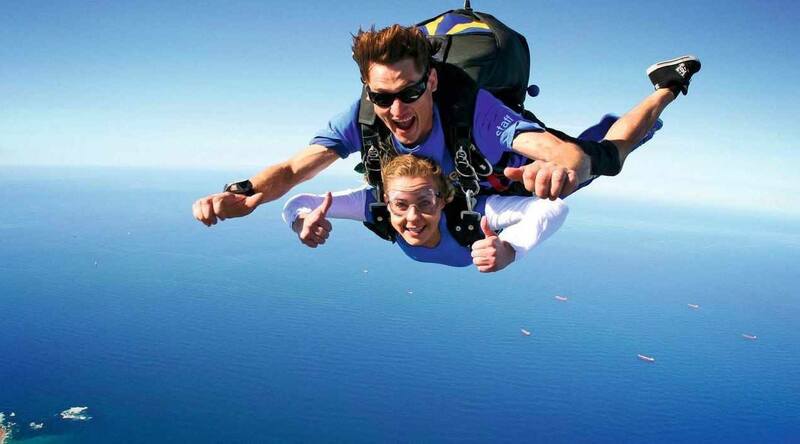 You will be in great hands with Australia’s No 1 Skydiving Company. With 40 years experience and over 2 million skydives, a record matched by no one else in Australia. Investing in the best safety systems and most modern up to date skydiving equipment which ensures their unmatched safety record. Please note: Over 95 kg’s may incur an extra charge. 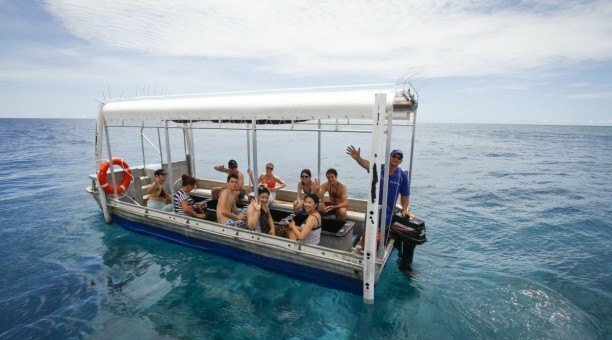 Following your day skydiving you will join Cairns best reef cruise to the Outer Great Barrier Reef onboard ‘Reef Experience’, Cairns all inclusive Great Barrier reef trip. Spending the day relaxing, snorkelling, scuba diving and glass bottom boat touring amongst natures coral paradise. Start your day with a complimentary pick-up from your Cairns City accommodation, Bacon and Egg BBQ roll and fresh fruit for breakfast. 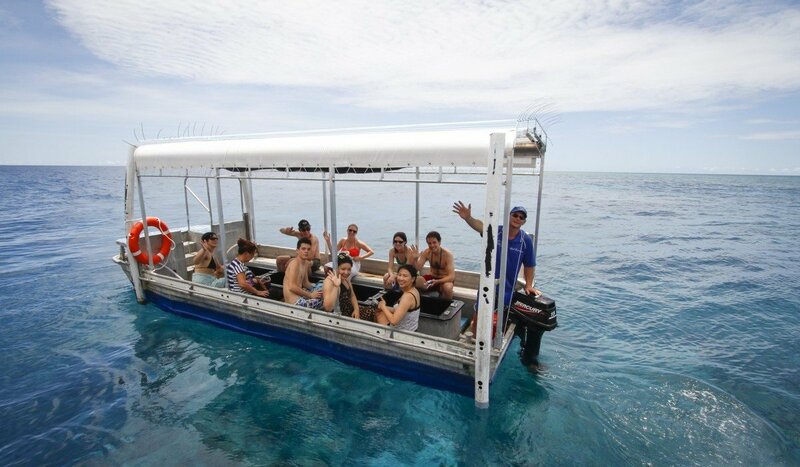 A fast 90 minute journey to the outer Great Barrier Reef, then you are ready to experience one of the 7 natural wonders of the world. 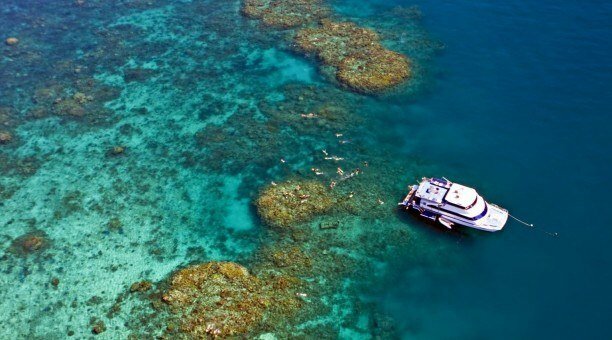 Bus transfers to and from the boat if you are staying in the Cairns city area. 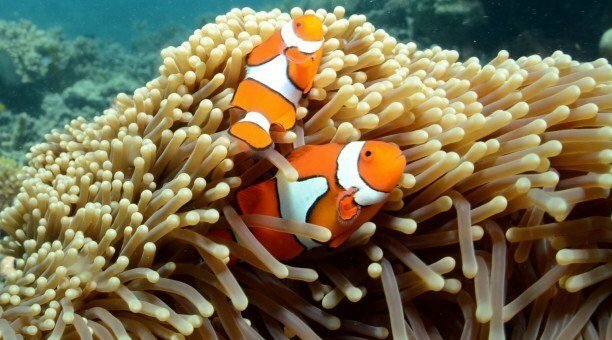 Your Great Barrier Reef tour Departs daily from Cairns Marlin Marina, ‘A Finger’. If you require a pickup from your Cairns City Accommodation please advise where you are staying when booking. Boarding commences at 7:30am and arrival back into Cairns is approximately 4:30 pm. Please read the terms and conditions of each tour. If you have any Medical conditions or are taking Medication and are unsure whether you will be able to scuba dive, please contact our office.